Importance of Interiors in a Restaurant Business -First impressions matter in a restaurant business, and the interiors are the first things that the customer will see when they enter the restaurant or cafe. Therefore, delicious decor and furniture can help to win the client over even before they taste the food. A restaurant should have a perfect ambience and a welcoming atmosphere, as both of these contribute to the satisfaction of the customer. 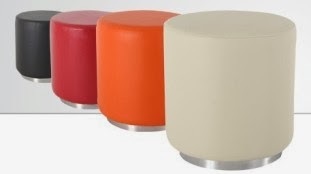 Small details such as the material that is used on restaurant chairs as well as the color and design of restaurant tables can make or break the restaurant business. This explains why so many restaurants that never paid attention to the interiors are now investing in remodeling in order to attract more customers. The interior of a restaurant can help to provide a visual representation of the restaurant. Details such as furniture design, colors and lighting have a visual impact, and they can help to enhance the brand identity. Furthermore, they can help to elevate the customer’s mood and provide a comfortable dining experience for them. When considering the interiors of a restaurant, the first factor to consider is the placement of furniture. The restaurant owner should know the flow of traffic in the restaurant as well as the overall size of the restaurant. This will help them to place furniture properly so that people can move in and out of the restaurant easily. Furthermore, furniture should be arranged properly so that the place does not feel crowded. A restaurant owner who wants to save space should consider buying restaurant tables that have straight edges, as opposed to round tables as they will consume less space and are easier to arrange. Color is also very important in a restaurant’s interior. Customers will unintentionally stay away from a blue-colored restaurant because this color is known to make people lose their appetite. However, warmer and appetizing colors such as brown and yellow are very inviting and they will draw people into the restaurant. The lighting can help to elevate the mood and to ensure that customers feel more comfortable while in the restaurant. Furthermore, a lot of people like to read magazines in the restaurant, and lighting will help them to do this. Dark restaurants are never desirable, while restaurants that are too bright are also not good, especially if the color on the walls or the furniture is reflective. The restaurant owner should therefore strive to balance everything in order to ensure that the customer is satisfied. The material used to make the various pieces of furniture is also a very important aspect of the restaurant’s interior. The material can be used to enhance the theme of the restaurant. Furthermore, some materials are easier to clean, and cleanliness is a huge factor in any restaurant business. Material also enhances comfort, therefore the restaurant chairs should be made from a material that is pleasing to look at and comfortable to sit on. While food is important in any restaurant business, the interiors should also be given a high priority. This is because the clients will be attracted to what they see before they sit down and taste the beverages or dishes that are served in the restaurant. Mark Long is an avid reader and writer on everything that has to do with interior design. He loves discovering new ideas on how to improve the interiors of a restaurant, whether it is through color, restaurant chairs or restaurant tables.